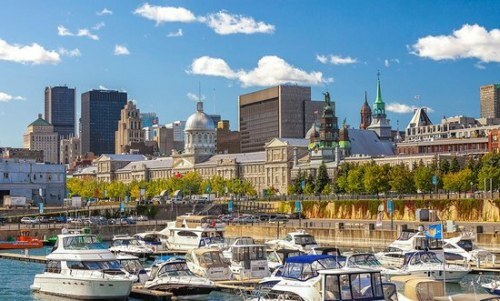 WestJet is showing flights that make it possible to fly from Vancouver to Montreal and back for only $293 CAD roundtrip including taxes. 2. For a very cheap flight home from Montreal, we get a little more creative. 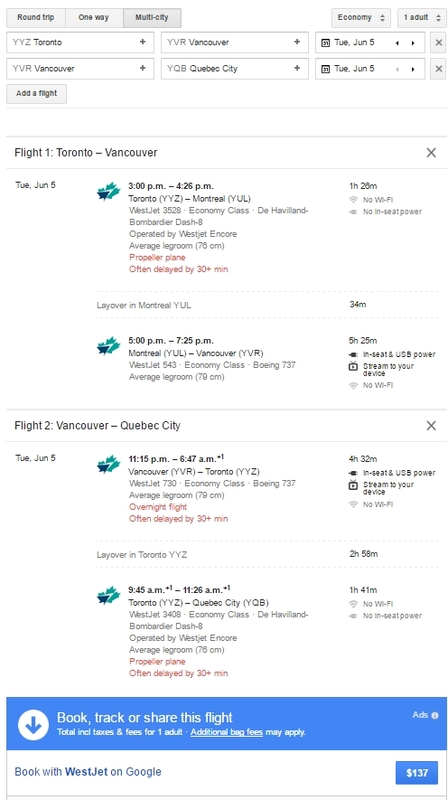 When you pair this $95 WestJet flight with the $198 Air Transat flight above, you can fly non-stop from Vancouver to Montreal and back for a total of $293 CAD roundtrip. 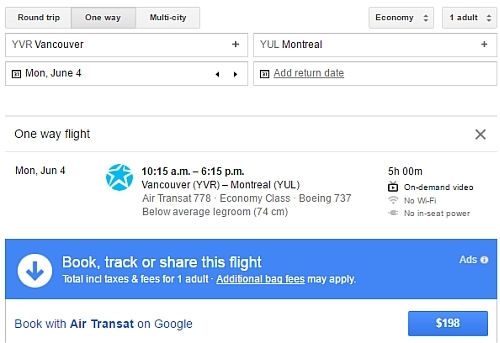 vancouver, yvr, flight deals, westjet, air transat, canada, north america, montreal, quebec and yul.